Bishop Mar Jose Porunnedom was born at Vettimattam in the district of Idukki on March 13,1956. He had his seminary studies at St. Josephs Minor Seminary Tellicherry, St. Josephs Pontifical Seminary, Aluva and at the Pontifical Urban University, Rome. He was ordained priest on December 22, 1982 in his home parish at Malome, in the Archdiocese of Tellicherry. After ordination he served as assistant parish priest at Kottiyoor, as Vicar at Santhigiri, Secretary to Bishop Jacob Thoomkuzhy, and Chancellor of the diocese. While serving as Secretary and Chancellor he served also as vicar of the parishes of Puthusserikadav and Thrissillery. In 1986 he was sent to Rome where he obtained a Doctorate in Canon Law from the Oriental Institute. After his return from Rome in 1991, he took charge of the offices of the Chancellor of the diocese and of the Eparchial Judge. In 1992 when the Syro- Malabar Church was raised to the status of a Major Archiepiscopal Church, Archbishop Abraham Kattumana, the special delegate of the Pope, appointed him as the Chancellor of the Major Archiepisocpal Curia of the Syro-Malabar Major Archiepiscopal Curia. 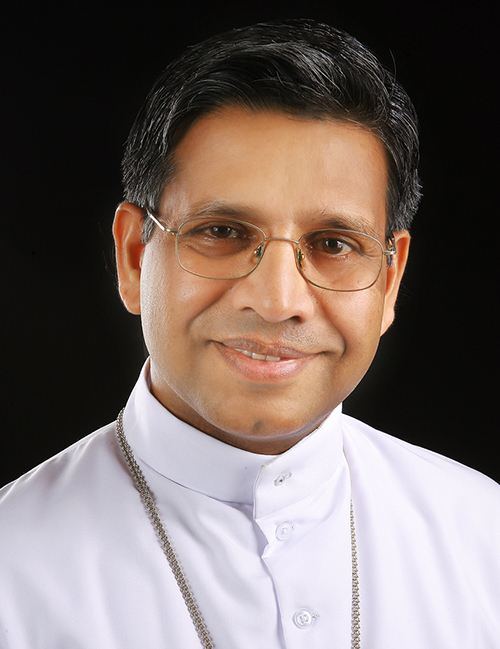 Major Archbishops Antony Cardinal Padiyara and Varkey Cardinal Vithayathil extended his office of the Chancellor till he was appointed the third bishop of the eparchy of Mananthavady on March18, 2004. He was consecrated the Bishop and took charge of the eparchy of Mananthavady on May 15,2004. His motto is Not to be served but to serve (Mt.20:28).